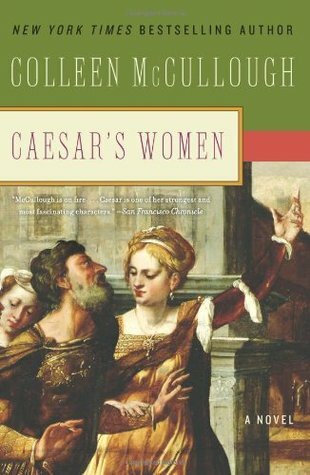 New York Times bestselling author Colleen McCullough re-creates an extraordinary epoch before the mighty Republic belonged to Julius Caesar—when Rome's noblewomen were his greatest conquest.His victories were legend—in battle and bedchamber alike. Love was a political weapon he wielded cunningly and ruthlessly in his private war against enemies in the forum. Genius, generaNew York Times bestselling author Colleen McCullough re-creates an extraordinary epoch before the mighty Republic belonged to Julius Caesar—when Rome's noblewomen were his greatest conquest.His victories were legend—in battle and bedchamber alike. Love was a political weapon he wielded cunningly and ruthlessly in his private war against enemies in the forum. Genius, general, patrician, Gaius Julius Caesar was history. His wives bought him influence. He sacrificed his beloved daughter on the altar of ambition. He burned for the cold-hearted mistress he could never dare trust. Caesar's women all knew—and feared—his power. He adored them, used them, destroyed them on his irresistible rise to prominence. And one of them would seal his fate. I could barely stomach what little I read of this book. I was very excited, because I found this one right as I was discovering historical fiction for the first time. I was sorely let down. Repeated references to various women as "juicy" was so low-brow, I felt like I was reading a trashy romance novel. I kept the book around, thinking I might pick it back up, but after several years I just got rid of it. Why waste time when there are so many quality tomes out there? So much more interesting than the latest European and American elections. You see very clearly in this novel how our justice and political institutions, made by white men for white men in the 18th and 19th centuries, were based on the Greek and Roman justice and political systems, also made by white men for white men. Not the kindest of people to read one powerful men of ancient Rome and a historically conscientious take on their personal lives. But a great read. Very academic, very dense, very enjoyable! A refreshing look at the distaff side of Roman life. Binge read the series. Around the time "Rome" was on. Not quite what I expected. Was more about Caesar than his women. A bit of a slog.